We are one of the largest producers of Deep drawn parts and deep drawn components in Brass , Copper , Aluminium and Stainless Steel. 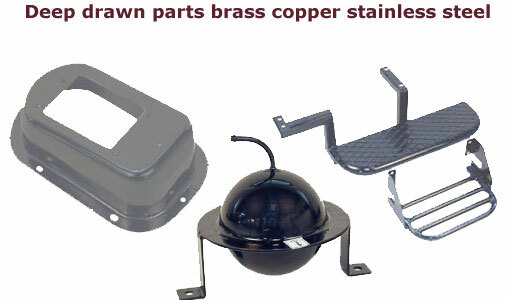 Our Brass Deep drawn parts Brass deep drawn components Stainless Steel deep drawn parts pressed sheet metal parts Sheet metal components Copper deep drawn parts are available in various shapes and sizes. 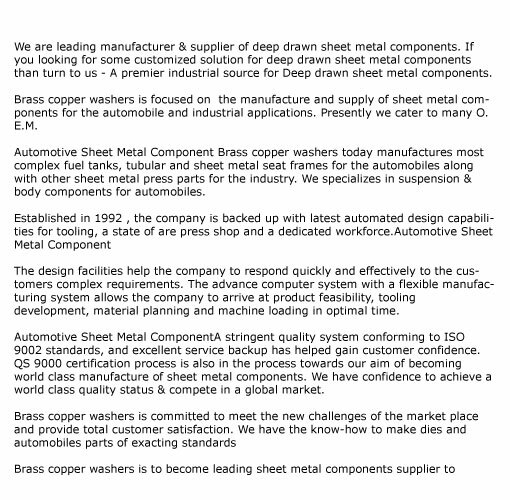 We have modern presses to enable us produce high end Brass deep drawn articles pressed parts sheet metal parts Sheet metal components pressed parts and pressed components. Material used for deep drawn parts and deep drawn components : Brass, Stainless steel A2 A4 ( 304 316 ), Copper, bronze, Aluminium.